It only makes sense that the “happiest place on earth” can be found in the heart of the Sunshine State. After all, who can be sad when surrounded by lakes and trees galore, with sparkling gulf waters to the west and a deep blue ocean to the east? For those who enjoy getting out on the water and doing a bit of coastal or flat-water paddling, the Orlando area is a veritable treasure trove just waiting to be explored by those interested in its gems. 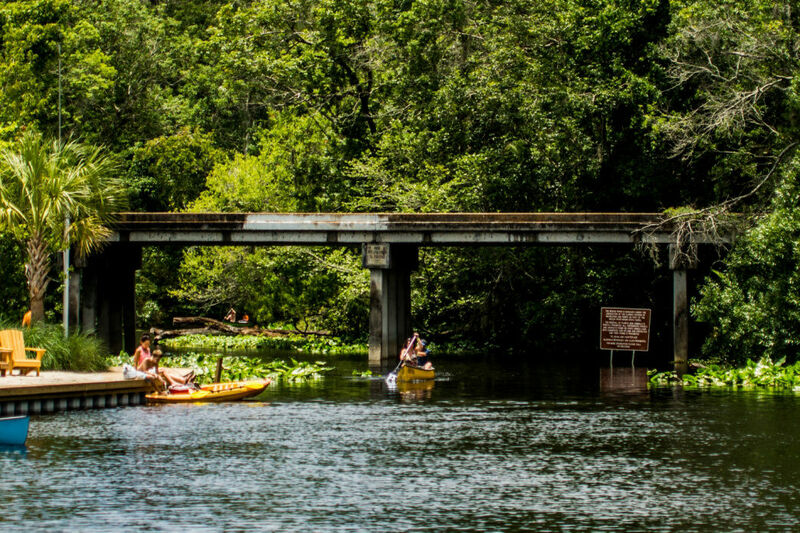 Here are five suggested places to spend a few hours paddling through the central waterways of the wild peninsula we call Florida. 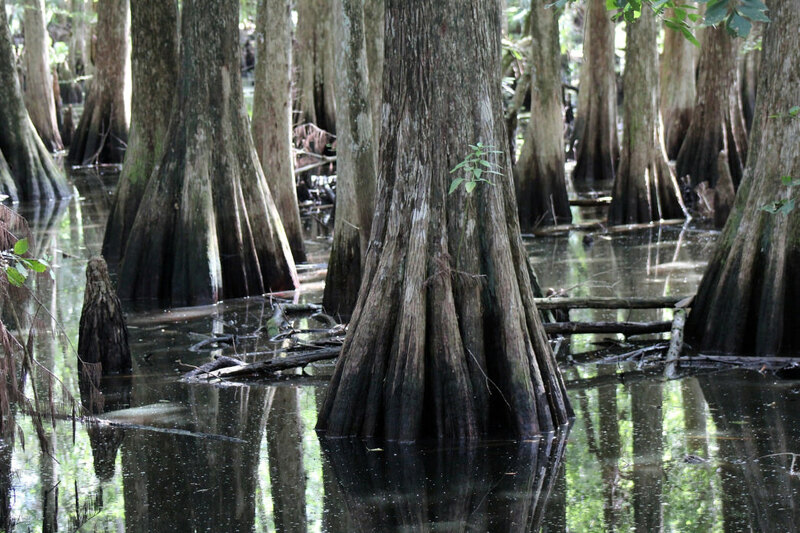 The northern headwaters of the Everglades are dominated by “Lake Toho,” which is short for Lake Tohopekaliga, a Seminole word meaning “we will gather here.” The largest lake in Osceola County, it serves as the main inflow to Shingle Creek and is known primarily for two things: bass and birds. As a result, anglers, birdwatchers, and nature enthusiasts alike flock to Lake Toho throughout the year, keeping it humming with activity. While most who come for the bass will cast their lines from fishing boats, the paddlers who gather here are of the adventurous variety, as they find themselves sharing the waters with the lake’s fiercest inhabitants: the American alligators. 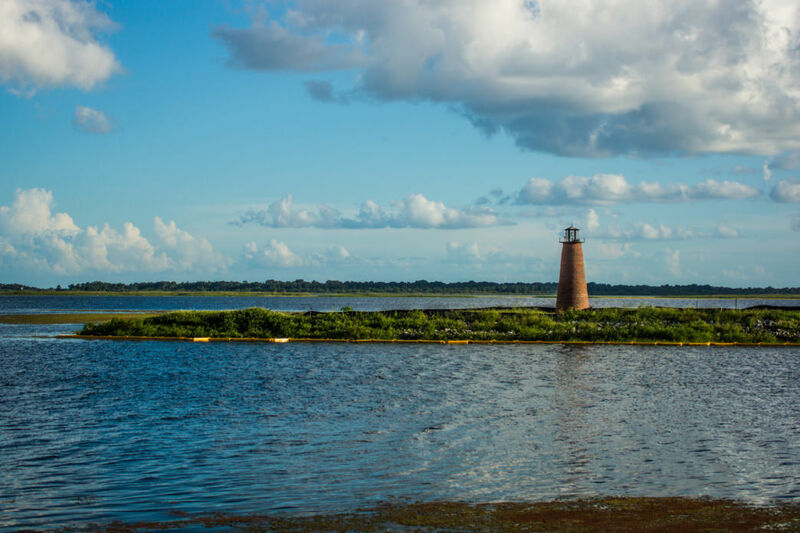 For those who want an extra helping of flora and fauna, a guided excursion to the preserve on Makinson Island offers passage through gorgeous cypress trees and sightings of wild deer, hogs, sheep, bald eagles, and other longtime locals. A primary tributary of Lake Toho, Shingle Creek flows down through the International Drive area and Kissimmee proper into the southern portion of Orange County. Because of their role in an array of Everglades restoration projects, the area’s wetlands are protected by law. In Shingle Creek Regional Park, Steffee Landing offers a perfect launch point for paddlers, with the trail running one mile in each direction. 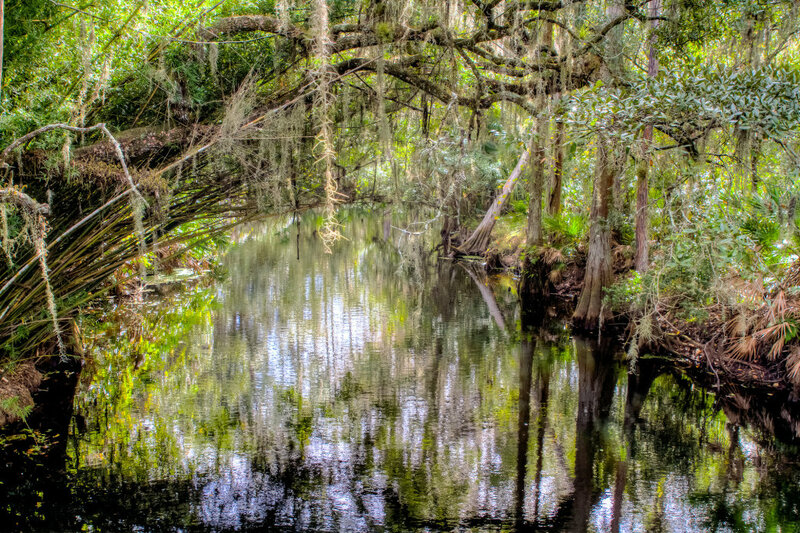 While the landing is accessible from the busy U.S. 192 corridor, it gives way to a serene environment, teeming with gators, turtles, and birds and canopied by thick Spanish moss hanging from tall, thin cypress trees. The creek and its surrounding area were given the name for the building shingles that were once made from the bark of the trees on its banks. Once on the water, visitors can enjoy the sounds of nature due in part to the fact that motorized boats are prohibited in the park, making for a blissfully quiet expedition. Florida is known for its crystal-clear springs, and a canoe or kayak is the most personal way to get up close to enjoy them fully. 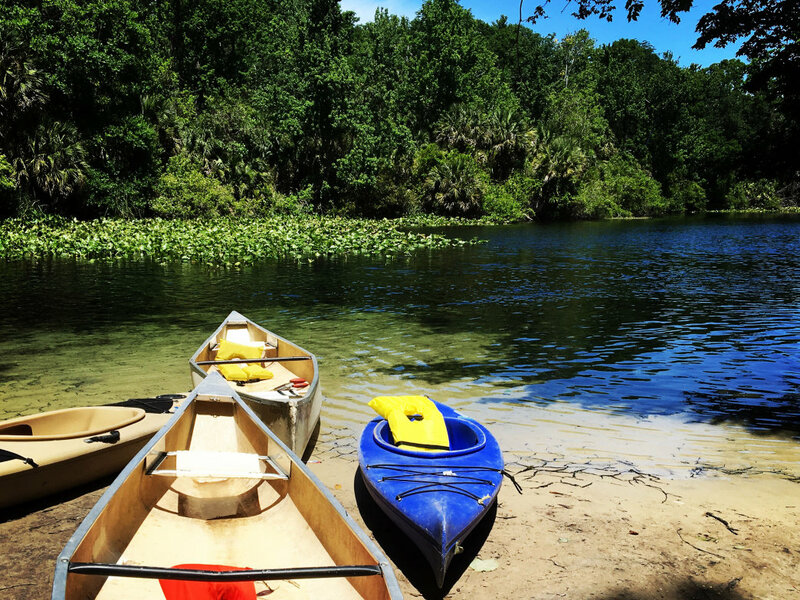 Wekiwa Springs, which feeds into the Wekiwa River, is a great place for both beginning and advanced paddlers, as the clarity of the springs is both calming for novices and mesmerizing for even the most experienced watersports enthusiasts. Oak trees stand proudly along the banks—and have for centuries—adding to the majesty of the experience as gentle currents coax visitors along. Swimmers and snorkelers leap at the chance to immerse themselves in the springs’ beauty, getting an even closer look at the wonders beneath their surface. Once back on land, bike rentals and picnic areas can transform the experience into an all-day affair, great for solo adventurers, couples, families, and groups alike. Offering a host of paddling experiences all in one central location, the Lake County Blueways are a gathering of eight runs, all using markers to guide visitors along. 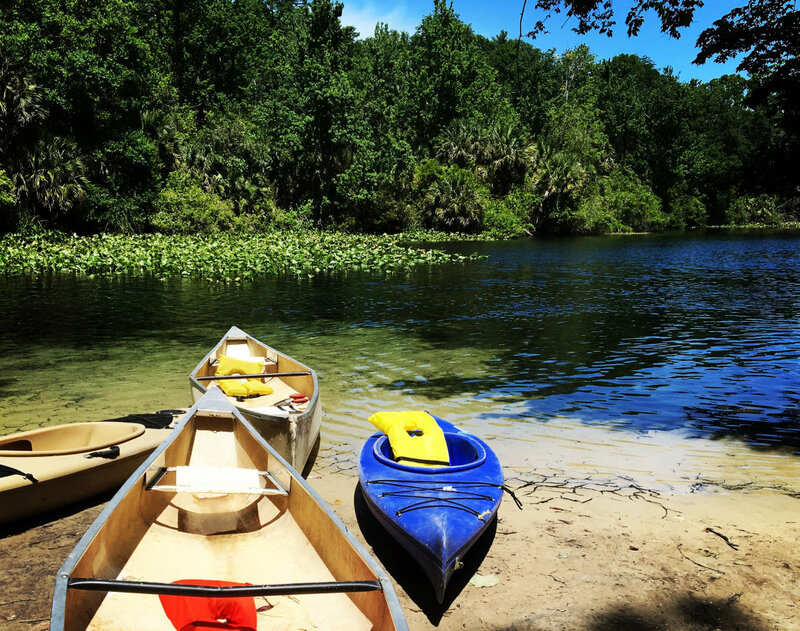 From trails meant for casual paddlers to true wilderness trails ideal for veteran kayakers, this particular series of blueways are an octet diverse enough to appeal to a wide range of people—and they are accessible via a 45-minute drive from Orlando’s city center. The Blue Creek run offers four miles of gator-filled waters; the Golden Triangle run is a paradise complete with nesting ospreys, egrets, and herons; the Helena run is popular among hikers and primitive campers; and the Lake Griffin run is known for its bigmouth bass. The Lake Harris, Palatlakaha, Stagger Mud, and St. Francis/Dead River runs round out the set, each with varying degrees of solitude and a wide array of local wildlife. For a transcendent treat, there are fewer places as heartwarming as the north district of the Cape Canaveral National Seashore about an hour northeast of Orlando. That’s because its wildlife sanctuary is a perfect place to spot manatees. 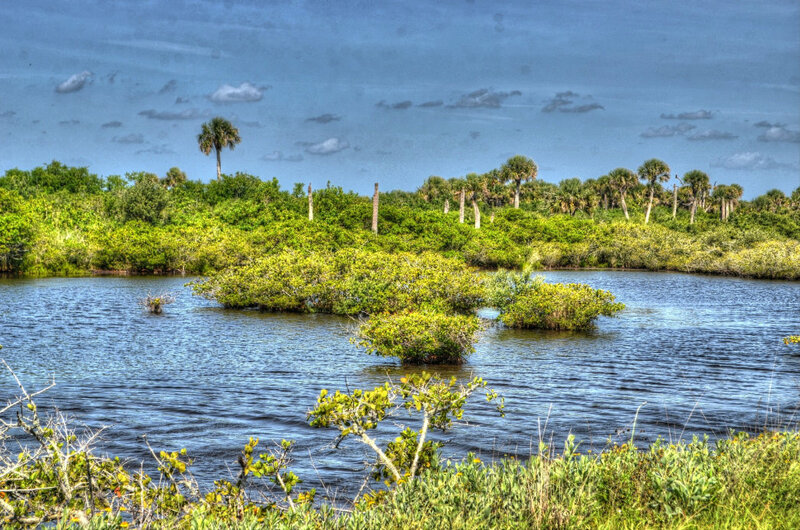 In its entirety, the seashore is Florida’s longest undisturbed stretch of coastline, and Mosquito Lagoon in the northern region offers several launches and boat ramps through which to navigate between the mangrove, oak, and palm hammock islands dotting the shoreline. The southern portion is less popular with coastal paddlers and populated primarily with anglers, although the entire length of the national seashore is indeed a treasure worth exploring one way or another.